If updating your clients on the status of projects takes a big chunk of your day, keep reading. 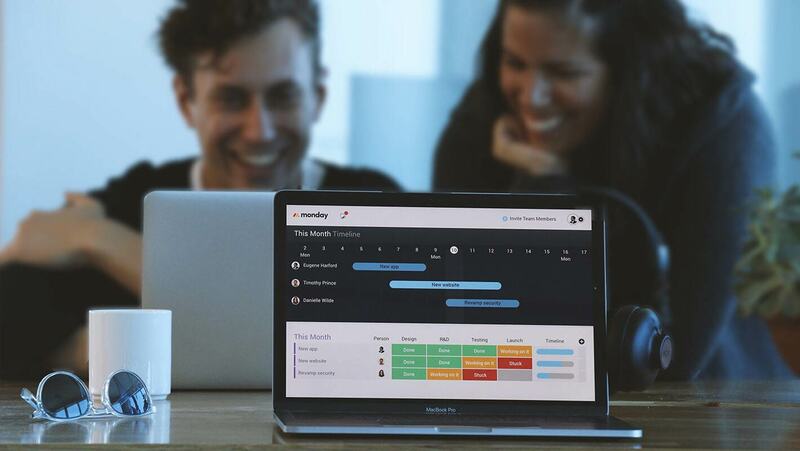 Whether it's prepping for a weekly status meeting, writing your monthly report, or just drowning in phone calls from clients, there's a solution...and it's visual! monday.com has a user-friendly interface to share all the information you can think of with your clients. It also allows you to organize and visualize your project in a way that your clients will understand. A client board allows you to invite clients to view your project roadmap. On that board, you can list all the projects/tasks you are working on, share deadlines and plan ahead. Your client has full understanding of what you are working on and when, saving you precious time. There are various options to visualize your work for your client.rom gantt charts, process status indicators to clear dates assigned to a task. Your clients are important for you and we get it. We created a tool that speaks for you with its visual features. Not only will the interface convey the right messages you want, you can actually get rid of emails! 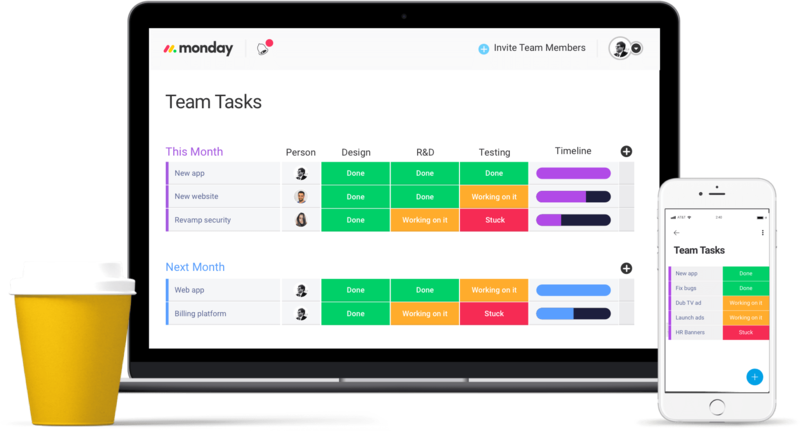 Using a monday.com board for client management, you can collaborate and communicate all in one place. Each project has its own feed to converse in context of the project. 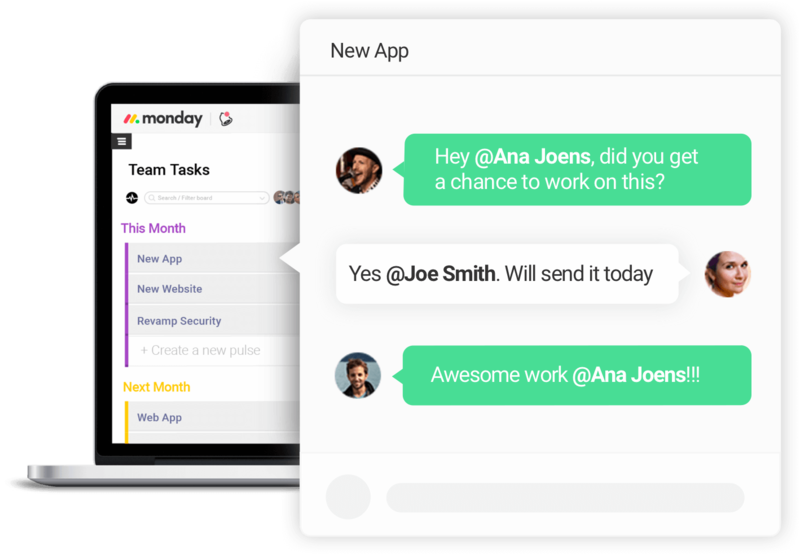 You can send messages to get your client to approve a task or just shoot a weekly update. The communications feature allows you to know who saw each message and when. You are also able to use your client management software to share files and basically keep communication, files and projects in one place. This level of clarity between you and your clients empowers you to work on what matters. Productivity peaks when your clients are assured that things are moving in the right direction. You need a tool that is more than a shared project board with your client. Client management software should allow you to manage all kinds of clients in one platform. 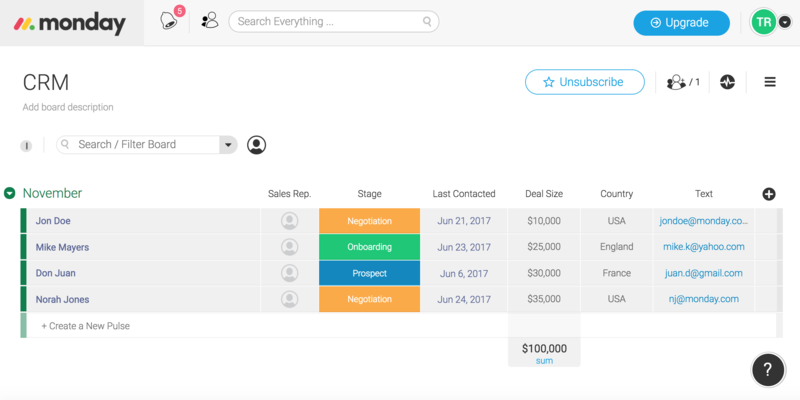 monday.com allows you to create a CRM board to centralize all your clients' information in a fully customizable layout. Use the different columns to visualize all of your clients' information. You can attach notes, move clients from one pipeline to another and turn every task into an actionable item. Managing your clients "behind the scenes" this way makes it easier for you to understand your clients' priorities. Since both your customer-facing tool and internal CRM are all in one, it's easy to make a decision and communicate it to the client.